A recent obesity study in Pediatrics , the journal of the American Academy of Pediatrics, found that a quality improvement approach in an electronic medical record program, implemented in a large pediatric health care operation, supported powerful system changes that helped identify, prevent, and manage childhood obesity with increased efficacy. Another Pediatrics study, published in 2009, found that health information technology can measurably improve health care quality for children. The same study addressed several challenges to practically implementing health information technologies for pediatric care. At its most basic level, EMR capacities have the ability to minimize error propagation. Verification screens and patient pictures can reduce basic order entry errors, improve discharge communication in institutional settings, and even decrease the mortality rate in hospital settings. The common denominator in all of these cases is quality. Not every EMR system is created equal. Make sure the system your office chooses matches your needs, works with your current system, and helps identify particular problem areas or "red flags" that can help you better care for your young patients. A user-friendly record-keeping system that is both well-conceived and well-implemented by knowledgeable and capable staff can change the way you do business and help you put the focus where it should be: squarely on the children you serve. 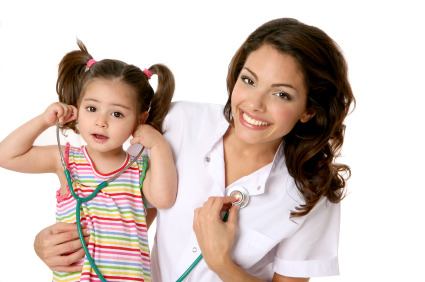 Are you still wondering if implementing Pediatric EMR System is the right thing for you to do? Take the first small step and call us today to discuss your thoughts and check out a customized demo of RevenueXL's PrognoCIS Pediatric EMR.